Allie Crump/ The Minaret. Students painted their hands and placed them on a banner during the PEACE OneDay event. Jessie Beckett, a senior psychology major at UT, had no idea what she was getting into when she applied to work for PEACE in her second semester of her sophomore year. Now, as the co-director for alternative breaks, Beckett said it’s “pretty amazing” how much both she and the organization have grown. With more structure and an improvement in leadership, the PEACE volunteer center has increased in numbers and opportunities in the last two years. New student coordinators, Daniel Holahan, junior entrepreneurship major, and Jennifer Sanchez, senior political science and philosophy major, were hired and the number of members increased from 790 to 2,097. The marketing team created new ways to reach out to students allowing for over 65 volunteer opportunities. But even with these improvements and increasing numbers, PEACE wants to get more people through their door. Beckett says a lot of students participate with PEACE because they need community service hours or conduct has instructed them to do so. While PEACE is grateful for anyone who helps, Beckett wants the student body to realize they can get engaged starting freshman year. Volunteers will also learn a lot. According to Holahan and Sanchez, PEACE had over 12,000 community service hours recorded through their office. This knowledge can be gained through the events that PEACE holds throughout the entire year. The marketing team does their best to spread awareness through outlets like social media and global emails, letting the student body know about them as best as possible. 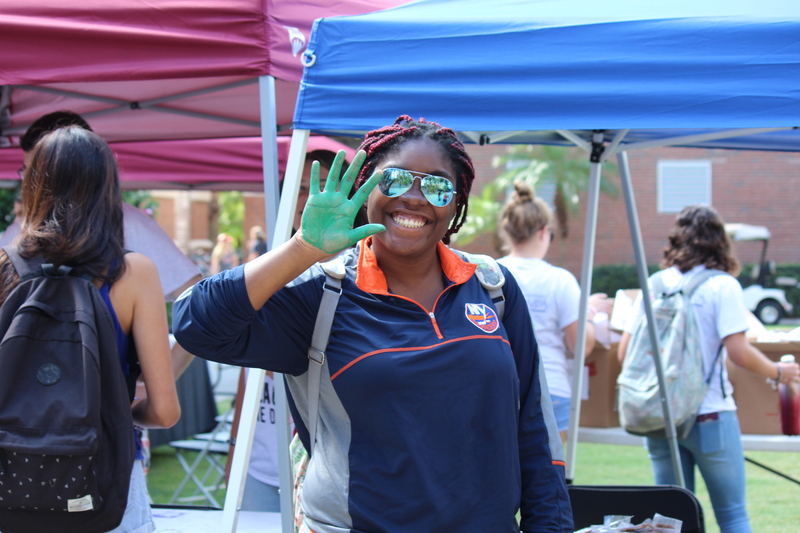 Tatum Flowers, a freshman international business major, found out about PEACE through the Into the Streets event where Beckett was her team leader. Flowers is now on the committee for alternative breaks where she and others discuss social issues within the community and around the globe. Flowers loves having the opportunity to help people, especially when she gets to work side by side with those in PEACE. Last year’s international trip was to Ecuador where the students learned about cultural education and environmental preservation by working with the Snowbird Cherokee Community over a two week time frame. According to the description on OrgSync, the students worked to maintain the trails and clean up the creeks in the Cherokee National Forest and in the Smoky Mountains National Park, where they also helped removed invasive plant species. To become a part of the PEACE family and to get involved, visit orgsync.com to look at past and future events or visit the PEACE office on the second floor of Vaughn, room 206.